A noose was found hanging in a tree near one of the Smithsonian museums on the National Mall in Washington, police said. 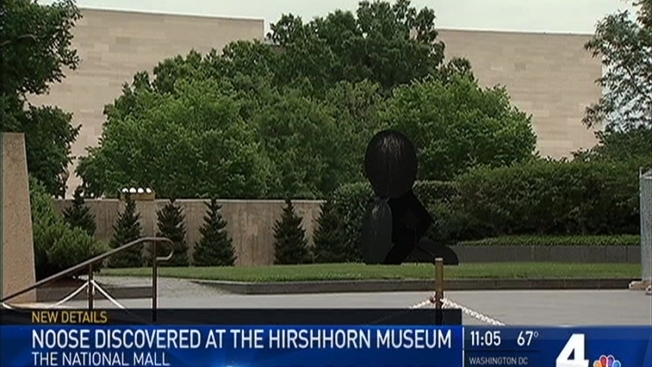 The noose was found Friday evening near the Hirshhorn Museum and Sculpture Garden, U.S. Park Police said in a statement issued Saturday. 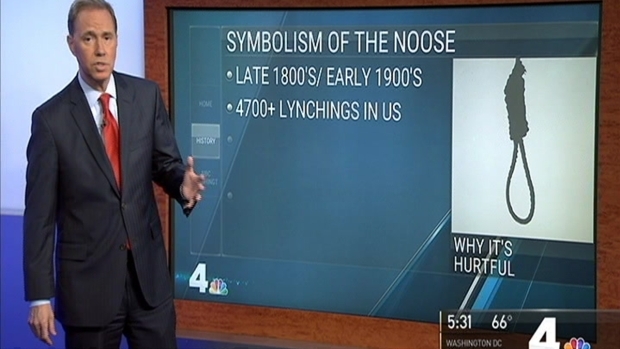 A Smithsonian police officer spotted the symbol of racist violence "inside the dense canopy of a tree" west of the museum. Officials do not know for how long it was there. "The Smithsonian is committed to be a welcoming, inclusive, and safe place for all," Smithsonian Secretary David J. Skorton wrote in an email to his staff. "I know you join me in deploring this act." Washington D.C. Mayor Muriel Bowser reacted on Twitter. A criminal investidation is underway. Anyone with information for police is asked to call (202) 610-7500, or (202) 610-8737.